Award-winning Musical Director & Pianist Dan Redner, a native of Grand Rapids, Michigan, is a 2007 alumnus of Grand Valley State University where he intensely studied both classical and jazz piano. Dan received outstanding performance recognition from Western Michigan University, Central Michigan University, Aquinas College, Muskegon Harbour Towne, and the 2006 Elmhurst College Jazz Festival in Chicago, Illinois. Furthermore, Dan performed at the Devos Performance Hall opening for the Grand Rapids Symphony as well as serving as a clinic musician for the famous jazz trumpeter, Wynton Marsalis. In September 2005, Dan performed at the annual T.S. Elliot Society Conference in St. Louis, Missouri, for the world premiere performance of Australian composer Craig Benjamin's opera, The Wasteland. As a member of the New Music Ensemble (www.newmusicensemble.org), Dan recorded Steve Reich’s composition Music for 18 Musicians on the ‘Innova Recordings’ label in January 2007. Named among the top recordings of 2007 by the New York Times, L.A. Weekly, The Rest Is Noise, and New York Magazine, the CD reached the top of iTunes’ and Amazon’s classical charts, and it spent eleven weeks on Billboard’s top 25 classical crossover chart. The ensemble performed at the 2007 “Bang on a Can” New Music Festival at the World Financial Center in New York City, and they have been featured on National Public Radio. Additionally, Dan performed around the world over a period of six years for various companies within the cruise industry, including Royal Caribbean International, Norwegian Cruise Line, and the five-star luxury Azamara Club Cruises, directing various Broadway, revue, and cabaret shows in collaboration with a variety of outstanding entertainers. 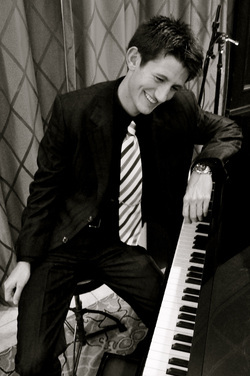 In August 2011, Dan relocated to Austin, Texas in pursuance of a Masters Degree in Jazz Studies & Performance from the Butler School of Music at the University of Texas at Austin, and he graduated in May 2013. Dan can be seen and heard performing solo, with the Dan Redner Trio, the Gil Del Bosque Quintet, and with Austin’s premier 10-piece funk, soul, & Motown group the Matchmaker Band. Dan is an active educator in the Austin community and nationally as a contributing member to the Austin District Music Teachers Association, the Music Teachers National Association, and the Jazz Education Network. 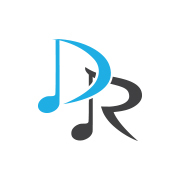 Furthermore, Dan is the founder/owner of Dan Redner Music LLC, where he teaches weekly piano lessons to 50+ students of all ages and levels of experience in addition to presenting various concerts and clinics to students in area school districts. Dan is a member of The American Society of Composers, Authors and Publishers. Credits include: Maria Schneider, The Drifters, The Coasters, Tony Tillman, Yakov Smirnov, Marty Allen, Lenny Welch, Toby Beau, Enrico Cifiello, Pearl Kaufman and countless other singers, comedians, and stage acts. Dan continuously shares the spotlight with the best musicians Austin has to offer, performing at weddings, receptions, casinos, clubs, restaurants, theaters, and more. A tour schedule, videos, contact information and more can be found via www.danrednermusic.com. © 2018 Dan Redner Music. All Rights Reserved.